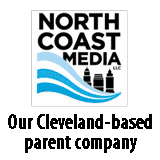 Decorated military general speaks at NPGA Propane Expo Posted on 14 Apr 2019 in the News categories. 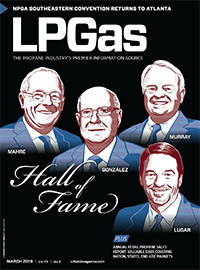 LP Gas Hall of Fame adds four more to its illustrious ranks Posted on 12 Apr 2019 in the Featured & Hall of Fame & News categories. Alliance AutoGas to offer conversion products at Propane Expo Posted on 10 Apr 2019 in the News categories. Otodata names regional sales representative Posted on 09 Apr 2019 in the News categories. LPG Spotlight: American Cylinder Exchange Posted on 09 Apr 2019 in the Current Issue & Featured categories. LP Gas Hall of Fame profile: Ray Murray III Posted on 08 Apr 2019 in the Current Issue & Featured categories. Ray Energy tabs vice president of supply Posted on 05 Apr 2019 in the News categories. UGI acquires AmeriGas common units, consolidates ownership Posted on 04 Apr 2019 in the News categories. WESROC parent company rebrands as Anova Posted on 02 Apr 2019 in the News categories. LP Gas Hall of Fame profile: Bill Mahre Posted on 02 Apr 2019 in the Current Issue & Featured categories.